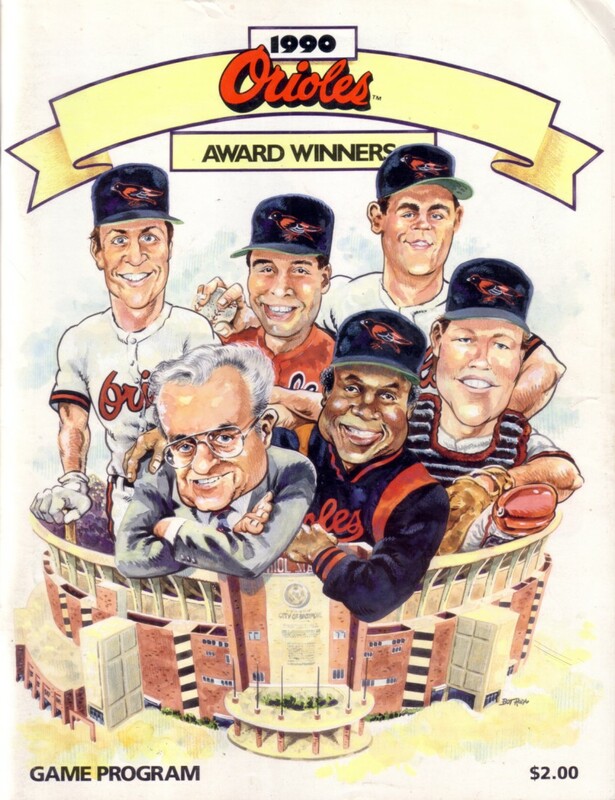 Original, complete 1990 Baltimore Orioles game program featuring artwork of six Award Winners from the 1989 season: Roland Hemond, Gregg Olson, Cal Ripken, Frank Robinson, Mickey Tettleton and Craig Worthington. INCLUDES ORIOLES NEWS 4-PAGE INSERT FROM THE JUNE 15-18 RED SOX SERIES. Has minor flaws/wear. ONLY ONE AVAILABLE FOR SALE.